“By supporting actions in Libya, today's newly adopted programme will address the needs of the migrants and contribute to a better management of migration flows. 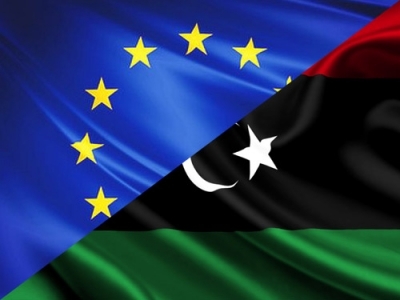 In addition, the projects will also support improved socio-economic conditions for all in Libya, and thus contribute to reducing the drivers of irregular migration and make the smugglers' task more difficult,” said EU Commissioner for European Neighbourhood Policy and Enlargement Negotiations Johannes Hahn. The new programme addresses various aspects of the migration challenge in Libya and along the Central Mediterranean route: stepping up the protection of migrants and refugees, including the most vulnerable, in Libya; improving the conditions of host communities and of internally displaced persons, taking into account the difficult socio-economic conditions in Libya; and facilitating the voluntary return of migrants from Libya to their countries of origin. Protection (€48 million): assistance to and protection of migrants and refugees at disembarkation points, in detention centres and urban settings; assistance to migrants on the move in the form of information on viable options (including returns) and risks of irregular migration as well as food and non-food items; collection and analysis of data on mixed migration flows, routes and trends through a 'Displacement Tracking Mechanism' which will help better understand the migration dynamics. The programme activities will be implemented in the main areas of settlement or transit of migrants and refugees (Libyan Southern border, municipalities along the migratory routes and along the coastal area) and in areas of displacement of Libyans and places to which internally displaced populations are returning.